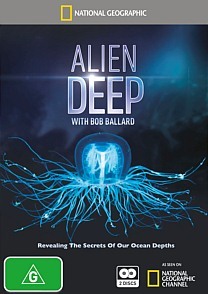 Alien Deep with Bob Ballard DVD Review Alien Deep is a peerless homage to the man and his work, and a fascinating glimpse into a world that in many ways remains as mystery. Stunning stuff. Oceanographer Dr Robert Ballard is like the intrepid hero of a Jules Verne novel, continuing the tradition of Jacques Cousteau by exploring the mysteries of the briny deep and inspiring awe and admiration in us landlubbers in the process. 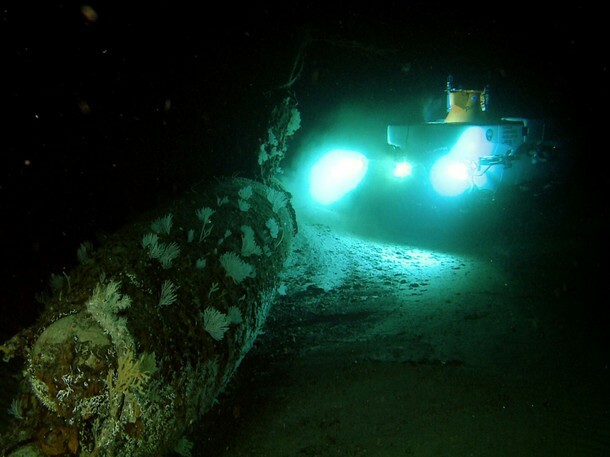 Amongst his many achievements are locating the resting place of the Titanic and the sunken German battleship Bismarck, the precise location of which he kept a secret so as to avoid the removal of artefacts by fellow divers, a practise he has repeatedly denounced as ‘grave-robbing.’ Ballard’s explorations have also uncovered the wreckage of the aircraft carrier USS Yorktown and the torpedo boat captained by JFK during World War II. In more recent years Ballard has turned his attentions to uncovering some of the more noteworthy forms of life which dwell in the deepest reaches of the ocean, and continues to run explorations through his Institute for Exploration as well as the Centre for Ocean Exploration and Archaeological Oceanography, both of which he founded. The superlative five-part series Alien Deep covers Ballard’s myriad achievements at some depths, which each 40-minute instalment devoted to a particular facet of his work. 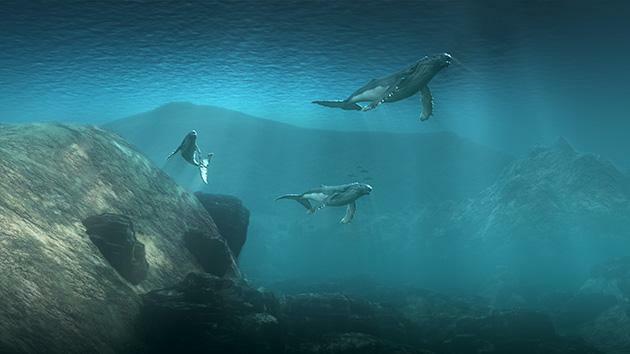 In episodes such as Wrecks of the Abyss and Ocean’s Fury Ballard espouses his views on the creation of our planet, takes us on riveting journeys to the darkest of depths and reminds viewers that although over 70% of the earth is covered by water, less than 5% of the world’s oceans have thus far been explored. Shipwrecks, underwater volcanos and creatures never before captured on film - it’s all in a day’s work for the irrepressible Dr Ballard. Alien Deep is a peerless homage to the man and his work, and a fascinating glimpse into a world that in many ways remains as mystery. Stunning stuff.